Ever wondered what are the most asked questions on Google? Given below is the entire list of top most asked questions on Google. For those not aware, cost-per-click refers to the amount advertisers pay to advertise for that term on Google. What Is The Most Asked Question In The World 2018? It might be quite surprising to know that the most asked question in the world is “what is my ip”. There are a little over 3 million people who ask this question every month on Google and that’s just one variation of the question. There are more who ask, “what is my ip address” and similar. So that is interesting! There are many more interesting surprises that show up in this list of the most commonly asked questions on Google. The values under the ‘Global Search Volume’ column are monthly averages calculated using the data collected over the last 6 months. The entire list of keywords has been generated using Mondovo’s Free Keyword Research Tool in just a few clicks and within seconds. It’s safe to say that most of us have relied on the ever dependable Google to answer some of our questions related to our everyday tasks. The phrase “Google it” has been popularly used around the world. The search engine recently released its most searched “how to” questions 2018. Google noticed that ‘how to…’ searches have increased by more than 140% since 2004, and much of that search interest is directed towards how to ‘fix’ things—whether it’s a lightbulb, window, washing machine, or even the toilet,” Google’s data editor Simon Rogers said in a Telegraph report. How to perfectly tie a necktie emerged as mankind’s most common question, while knowing how to properly “kiss” ranked second. Other searches included in the top 10 revolved around cooking, dating, money, dressing and health. Meanwhile, data journalist Xaquín González Veira attributed people’s desire to fix stuff themselves to the high number of “how to” questions. 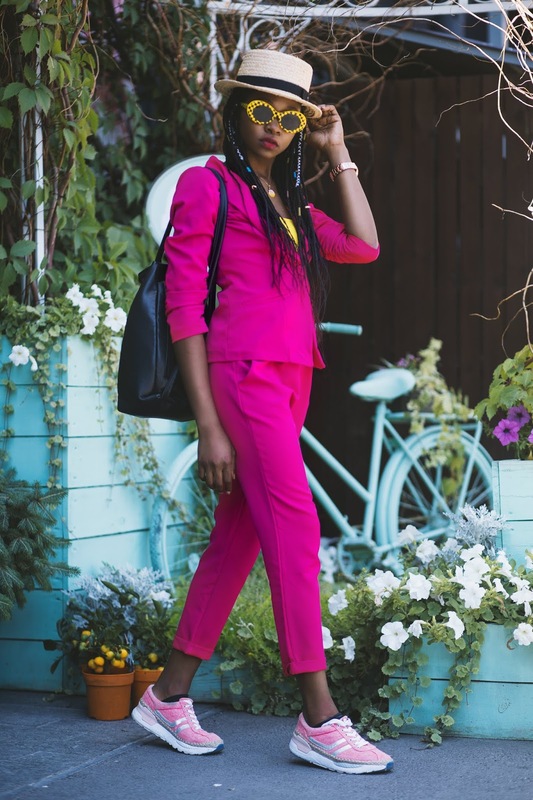 If there were ever a time to wear a pink suit, it would be right now. It is summer, so we can play with hats, bright colors, sunglasses , mini backpacks and lots more. Suiting is no longer something uncomfortable and uptight reserved for formal occasions. 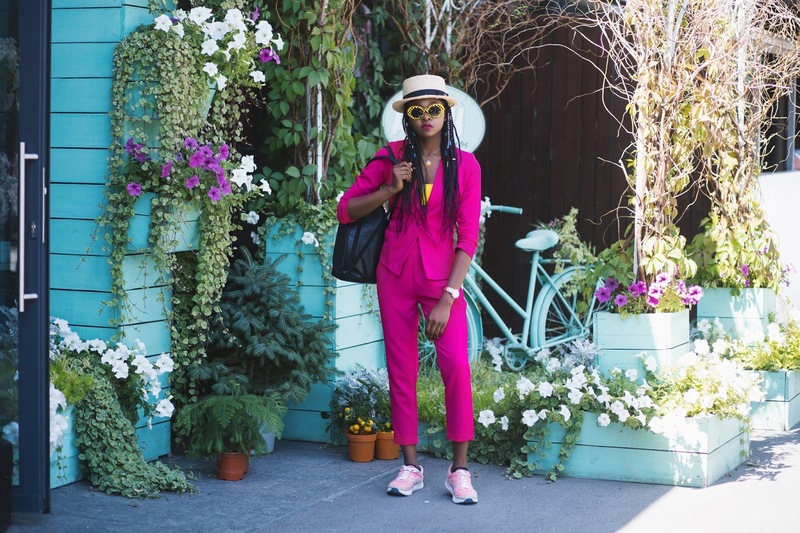 There are lots of ways to style a pink suit. Different styling with different accessories for different occasions. I have put together a day to night look, and all the accessories you need to properly combine them well according to the occasion. This suit takes the effort out of looking effortless; head-to-toe colour is a sure way to make a stylish statement. Keep everything else minimal though – the key here is simplicity. 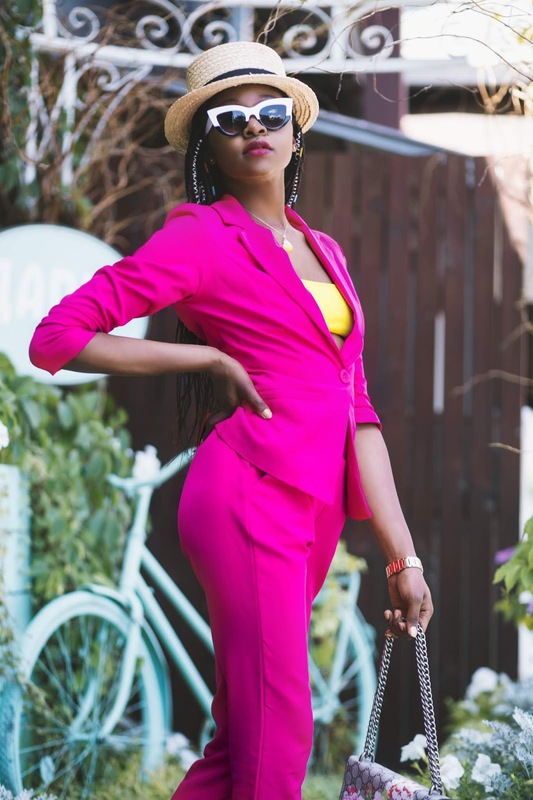 Wear the Rebellious fashion pink blazers and Co-ord Rossie suit. with an inner yellow top swimwear top by Amiclubwear. Chunky heels by Pinkbasis.com. Add the printed snake head Bag by Jessica Buurman. accessorize with the The sunrise Hawaiian Shell custom necklace made in Hawaii, Iconic guess wrist watch and The Beatrice White By LeoinTown. Take the trousers on their own, add some Trainers and a relaxed t-shirt for easy weekend look. Keeping this all white with the pink looks fresh and modern. Why not try a white rucksack as well for a real nod to the sports luxe trend? You could also add sandals and a denim jacket for an outfit that was made for holiday strolls. Espadrilles Known as the humble slip-on shoe with the woven sole, espadrilles are going flat-out high impact this season Czanabuty got the best choice. Add a Panama hat and the darker atmospheres backpack by Seoras to upgrade this look and the Cobain yellow checkers sunglass. Love your jeans? This season is all about the relaxed cut off, which we think you can wear with pretty much everything. Take your favorite knit or top, add the pink blazer and some heels, and your jeans are ready for work. Add some statement earrings and a clutch bag, and your ready for dinner and drinks. You can experiment here with the accessories. What a gorgeous girl boss look dear. This looks stunning on you.